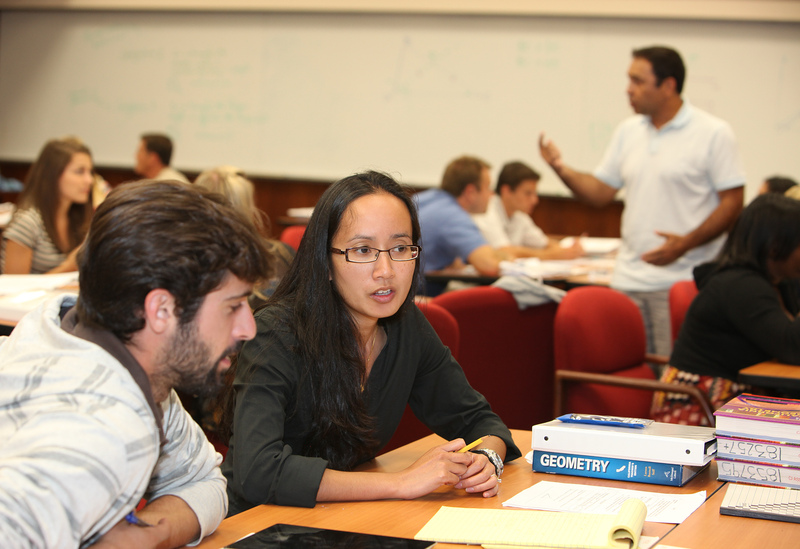 Math for America San Diego held its fourth annual 2012 Summer Institute at UC San Diego. The three-week mathematics retreat provided 43 San Diego County math teachers the opportunity to fully immerse themselves in the learning approaches involved in teaching math. In an effort to improve student understanding, teachers “do the math” and observe and investigate the pedagogical lessons that emerge from the process. This summer, participants focused on the new geometry standards described in the Common Core State Standards. Under the leadership of Prof. Guershon Harel (UCSD Department of Mathematics), the teachers reviewed constructions and proofs related to the central topics in the geometry curriculum. The Math for America San Diego summer institutes help middle and high school teachers dig deeply into the mathematics of the Common Core State Standards and, learn how to let the students’ thinking processes guide their instruction. Institutes focus on algebra, geometry or other topics. For more information, please contact the MfA SD office at 858-822-6284.